HR department management is increasingly leading a more important role in the salary cost control strategy. HR managers are asked to take on more responsibility for cost reduction. 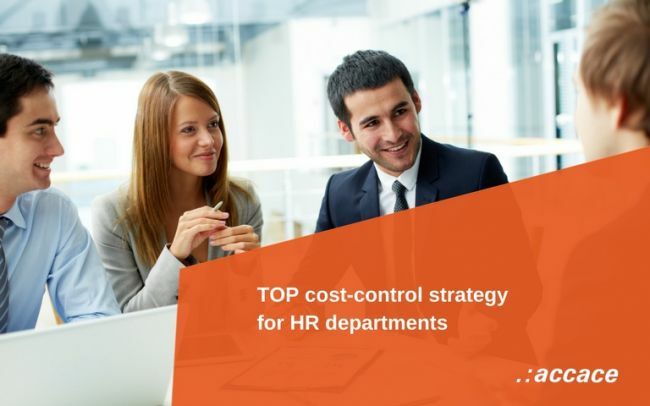 This is the best cost control strategy for HR managers, next to streamlining the processes and procedures and moving to automated HR functions. By taking on more responsibility, HR managers are trying to share the responsibility with line managers. The most valuable HR managers become business partners and know how to use technology application to control costs. Employee self-service (ESS) provides access for employees to web-based information including monthly reported payslips. Additionally, employees can change their personal data like name, bank account, address, etc. It allows to ease HR department’s administrative burden by simply using an easy application that helps them delegate the tasks. The manager self-service, apart from common ESS functionality, allows managers to see additional reports or structure of their employees. The communication module allows HR departments to eliminate direct contact, voice response systems and paper-based transactions. Not only it provides a modern tool for employees to check their payslips and ask questions but also allows HR department to make the communication efficient and measurable. Absence or time & attendance (T&A) evidence often allows managers to control the availability of their employees by set of approval steps and reports available on a current basis. Are HR managers too conservative to boost the change? Sometimes HR managers underestimate the company’s employees. Even manufacture companies can implement new technology and push for the change. Often applications offer the possibility to delegate roles to managers, if the employee is not able to enter data in their web-based portal. This might help organizations that are afraid of technical skills of their blue-collar workers. The cost-effective applications are nowadays the easiest to implement. HR managers should only choose a friendly interface and support the change. Make your life easier and be a progressive HR department that can be nominated to use cost-control strategies.